Nassau Bowmen would like to Thank Ralph and Anthony for their contribution to the local archery community. 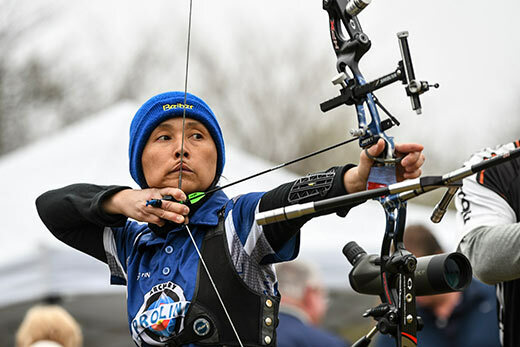 The 2019 archery outdoor season has started. Nassau Bowmen is located in Cedar Creek Park, just an hour from New York City. We offer targets at a variety of distances from 10 to 70 meters. 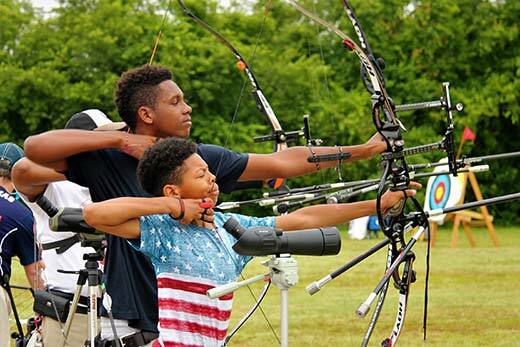 The Nassau Bowmen Archery club is aimed to promote the sport of archery to all who seek it. Archery is a social sport. People of any age and from many walks of life enjoy this sport. 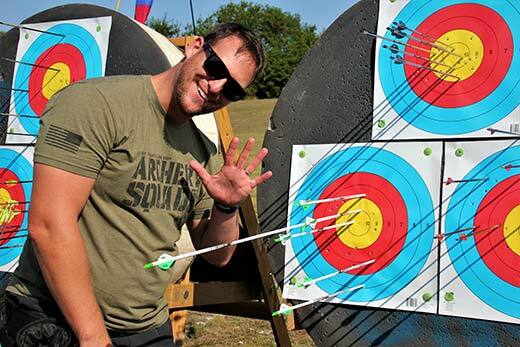 Archery is relaxing, it improves your focus, your confidence and exercises different parts of your body. Most importantly it is fun! 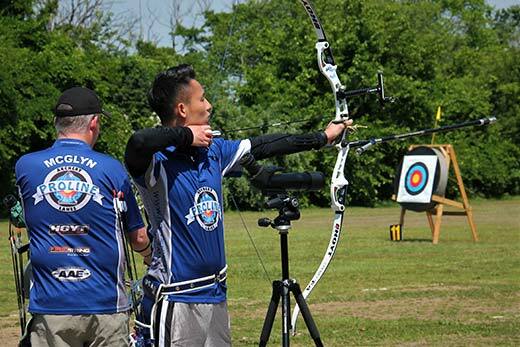 Whether you are looking for a new hobby, are an experienced archer or want to train for the 2020 Olympics, we encourage everyone to come and experience the sport of archery which can bring a lifetime of enjoyment. Our club offers something for everyone. If you are looking for a place to practice, get instruction, participate in tournaments or develop new friendships we offer it all. 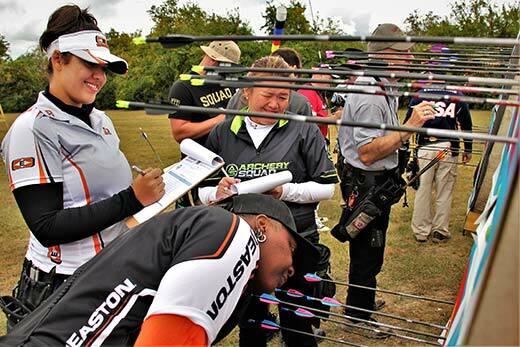 Our mission is to help build enthusiasm for the sport of archery and foster its growth within the local communities. The Archery Range at Cedar Creek Park is our home range. We offer a variety of distances from 10 meters to 70 meters to cover all skill levels. Practice canceled due to thunderstorm conditions at the field. Tournament on Saturday: Don't forget to sign up online before the deadline! Practice today (4/20) is canceled due to inclement weather conditions. There is no practice tomorrow on Easter Sunday. Check our website- first tournament of the season is Sat 4/27. Register online, sign up before the deadline! See you on the field soon! Nassau Bowmen practice Sat. 4/13/19 starts at 11:00 am due to scheduled bike & foot race. Park should be open to general public by 11. Morning showers end by 11 am, expecting a beautiful afternoon. Nassau Bowmen practice canceled today due to extenuating circumstances. So many great memories growing up and being a part of Nassau Bowmen. Miss those days. Thanks to the 2019 Nassau Bowmen Sponsors! 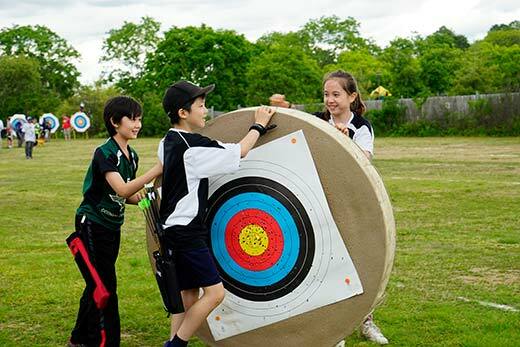 Nassau Bowmen Archery Club was founded on the principle of promoting the sport of archery. Members can shoot at targets from 20 meters to 90 meters at our outdoor range in Ceder Creek Park, New York. 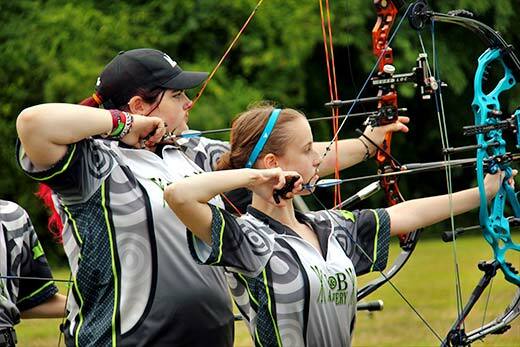 We have scheduled practice sessions between April and September and host multiple archery tournaments every year. © 2019 Nassau Bowmen. All Rights Reserved.